Haines City is a city in Polk County, Florida, United States. The population was 13,174 at the 2000 census. As of 2010, the census count was 20,535. Haines City is the third most heavily populated city in Polk County, Florida. It belongs to the Lakeland-- Winter Haven Metropolitan Statistical Area. As of the census of 2000, there were 13,174 people, 4,749 households, and 3,409 families residing in the city. The mean income for a household in the city was $ 27,636, and the median earnings for a family was $ 30,678. Males had a mean income level of $ 21,806 versus $ 19,279 for females. The per capita income for the city was $ 13,818. About 14.7 % of families and 18.6 % of the population were below the poverty line, including 24.3 % of those under age 18 and 11.2 % of those age 65 or over. At first, Haines City was known as Clay Cut. Early settlers were primarily associateded with citrus growing, thus it came to be their major industry. When the South Florida Railroad arrived nearby this area, the residents of Clay Cut got the company to build a depot by renaming their city in the honor of Colonel Henry Haines, who was a senior railroad official. Recently Haines City has seen explosive development, greatly as a result of its effortless accessibility to Orlando and Walt Disney World Resort. New residential areas have been developed on the edges of the city. On high ground in the north of the city, Southern Dunes, a golf and country club with both vacation homes and residential homes, was developed between 1995 and 2005. Haines City has several schools including Landmark Baptist College, Landmark Christian School, Daniel Jenkins Academy of Technology Middle School, Haines City High School, Ridge Community High School, Shelley S. Boone Middle School and Bethune Academy. Haines City lies bordered by a number of PGA golf courses, which makes it a fantastic place for golf lovers. Apart from outstanding golf courses, there are a number of tennis courts and facilities for other sporting and recreational activities. Jack Browns Airport is located in nearby Winter Haven. Railroads have always been a part of Haines City's history, and freight and passenger trains still run through the city. The only public transportation in Haines City is a per hour bus service to Lake Alfred and Winter Haven by Winter Haven Area Transit. The Polk Transit Authority is planning new transportation links to the Lynx public transit system in the Orlando area. 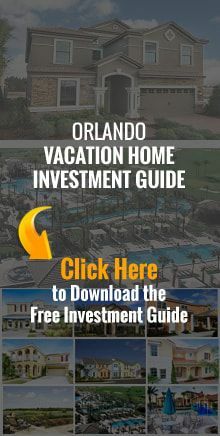 Other attractions include: Diamondback Golf Club, Southern dunes Golf and Country Club, Walt Disney World, Posner Park. Bahia Realty knows Haines City real estate. Talk with Bahia Realty's Haines City, FL real estate professionals about our extensive listings of Haines City, FL homes for sale, Haines City condos for sale, and Haines City townhomes for sale. Don't forget to ask about our Haines City, FL relocation services, too!